With all of the alleged victims of sexual abuse at the hands of Bill Cosby — whether they've told their stories before or are coming forward for the first time — it's truly horrifying and disgusting that there are now rumors circulating adding fictional names to an already long list. Apparently, a parody news site called Hip Hop Hangover published a story that Raven-Symone was molested by Cosby, and this horrifying story was published as "a gossip parody and satirical publication and for entertainment purposes," according to the site's disclaimer. 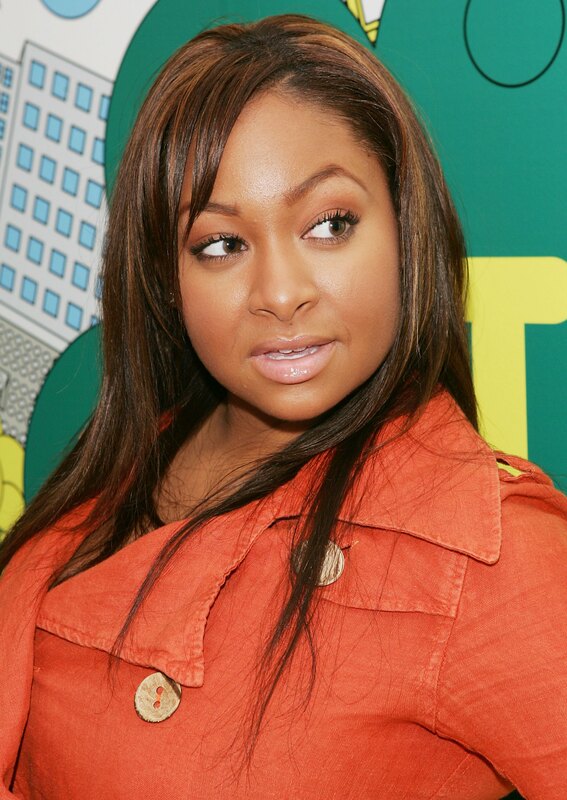 Naturally, when the actress herself caught wind of the story when it was picked up by other websites, Raven-Symone slammed the sexual abuse rumor on Instagram. Quite honestly, it's disgusting that she even had to. "I was NOT taking [sic] advantage of by Mr. Cosby when I was on the Cosby Show," said Raven-Symone in a caption to an Instagram photo of her back in her Olivia Kendall days. "I was practically a baby on that show and this is truly a disgusting rumor that I want no part of! Everyone on that show treated me with nothing but kindness. Now keep me out of this!" Since the rash of allegations began to crop up, Cosby has denied the rumors via his lawyer with the final statement, "Over the last several weeks, decade-old, discredited allegations against Mr. Cosby have resurfaced... Mr. Cosby does not intend to dignify these allegations with any comment." However, in addition to the 13 original anonymous women who were willing to testify against Cosby in the original early '00s civil suit brought against him by Andrea Constand, there have also been new alleged victims who have stepped forward in the public's current atmosphere of support. This includes supermodel Janice Dickinson. The reason I bring the number of victims up, and exactly how long some of these victims have been associated with this scandal, is to show that the sexual abuse allegations against Cosby might not be confirmed nor anything that he has ever been charged with — but these rumors have existed for years. There have been women — brave, strong women — who have stepped forward to tell their stories despite any legal justice or public support. There have been women who continue to tell their stories even though it has been 30 years since anyone has wanted to listen to them, such as Barbara Bowman. There is no need to invent women to add to an already long list, no need to invent more charges to lay at Cosby's feet, no need to discredit the women who have actually come forward by muddling the situation with false stories. That's what rumors like this does. It discredits those brave women. It leads to the train of thought, Well, if THIS woman wasn't really a sexual abuse survivor, then who else hasn't really been victimized? And that train of thought can take these women from being ignored for decades to being ridiculed and mocked on a wide, public basis for years to come. Considering how difficult it is to speak up about an instance of sexual abuse — let alone do so twice after being ignored or not believed the first time — the last thing the situation needs is to be exacerbated by fake rumors and imagined incidents in the media that would leave the casual viewing public with no idea what's true and what isn't. We're already in that place of wondering right now. Let's not make it worse.